Story Planet Launches Anthology of Toronto Teen Writers! Infinite Fictions by Upcoming Writers from Another Reality is the collective endeavour of young people envisioning a place for themselves in this and alternate realities. 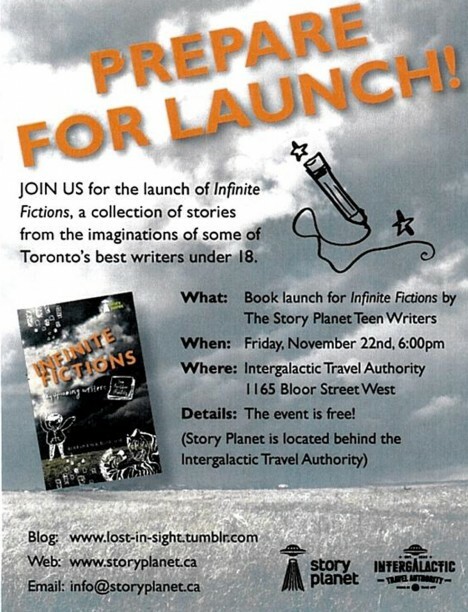 On Friday, November 22, 2013, Story Planet’s teen writers will launch their anthology, Infinite Fictions at The Intergalactic Travel Authority at 1165 Bloor Street West. The evening will feature performances and readings. No cover for the launch. Books will be available for sale. Infinite Fictions collects stories and poems of mesmerizing science fiction, fantasy and alternate dimensions, from the imaginations of some of Toronto’s best writers under eighteen. Over eight months, a group of teenaged Toronto writers met weekly at Story Planet to write, edit and plan an anthology of the fantastic. Details: The event is free! Books will be available for sale. To ensure a copy of the book email veronica@storyplanet.ca for pre-orders. We see all kinds of visitors coming through the Intergalactic Travel Authority, and this week was no exception– an honest-to-goodness alien stopped by! This citizen of Adorablius XI was just tickled by our ongoing attempt at writing the World’s Longest Story, and generously offered to record some of her planet’s folklore. …Looks like her translator was on the fritz, though– can any of you read Adorablian runes? 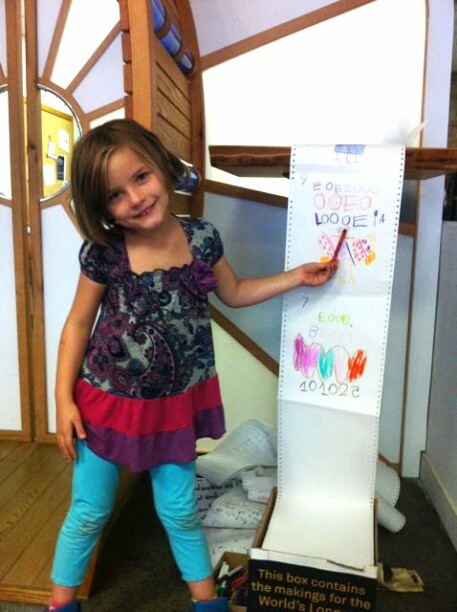 Luckily, she provided some stellar alien illustrations to let us follow along even if we haven’t brushed up on our interplanetary dialects lately. 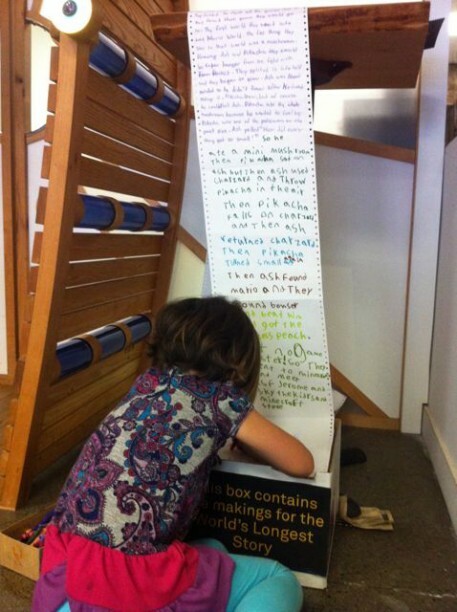 Swing by the ITA to try to decipher her entry and add a few lines yourself!